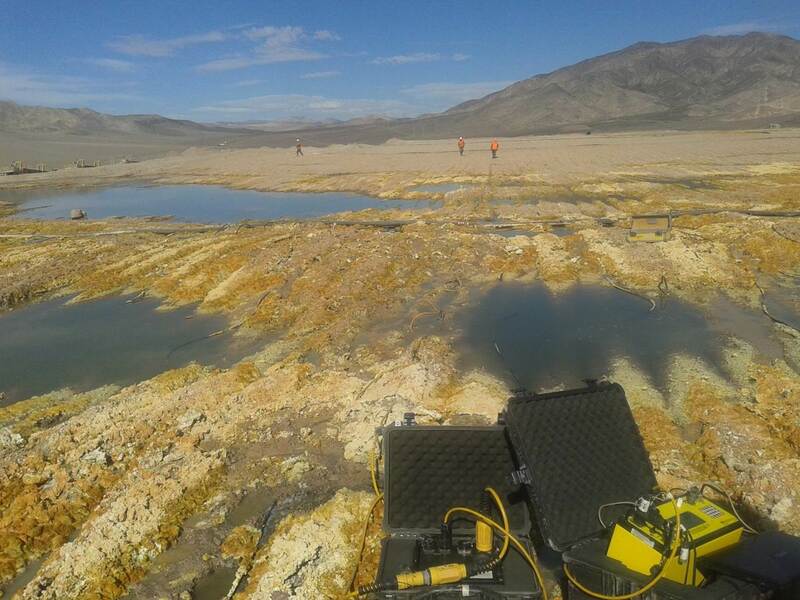 A study was performed at a Heap Leach Copper Mining site in Chile to determine impervious zones for irrigation. The first base survey was performed to locate the impervious zones to be able to improve irrigation. The second monitoring survey was performed after 50 days of irrigation via two drilled boreholes to observe the improvement of irrigation. 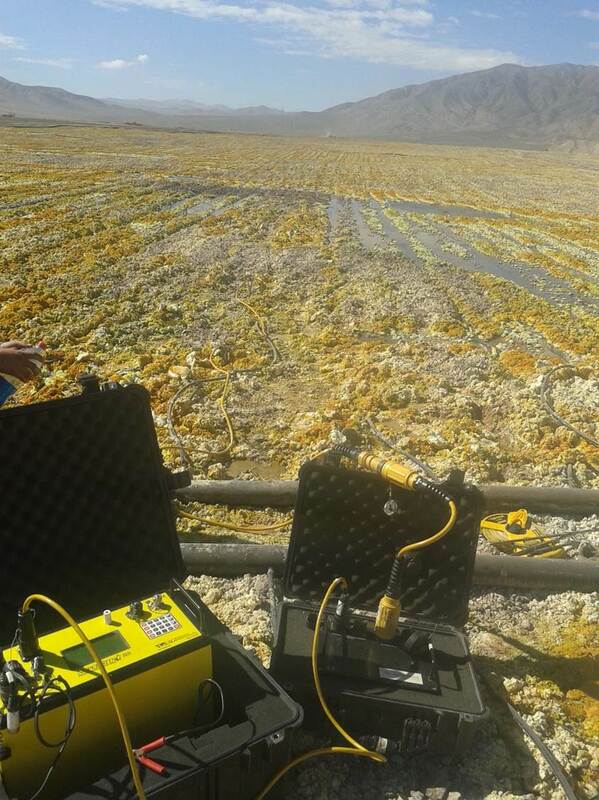 The surveys were performed in 12th of May and 1st July 2015 in Chile with AGI SuperSting™ WiFi R8 RES/IP instrument with 56 electrodes at 2m spacing. A SwitchBox, Time Lapse module, and EarthImager™ software was used along with a Dipole-Dipole array. The impervious zones were successfully mapped. High-resistivity values were associated with poor irrigation points. 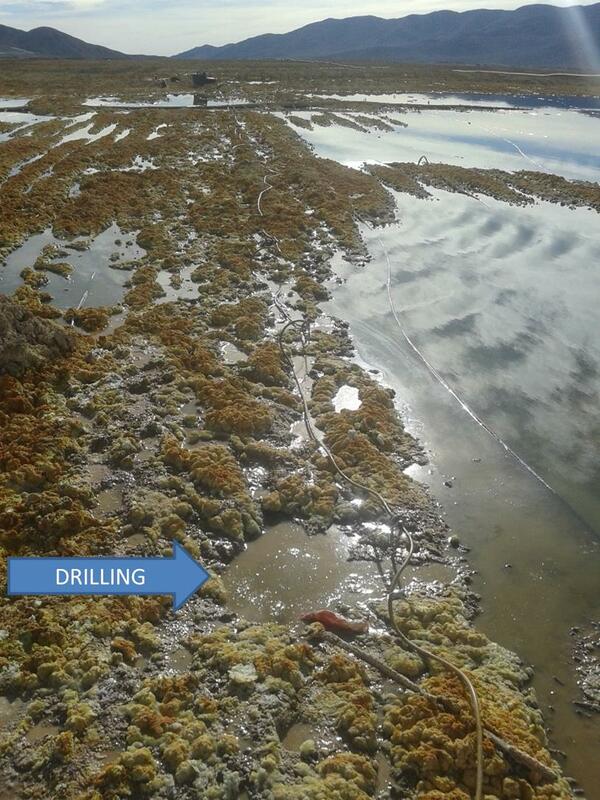 Two drillings were made at 36 and 72 meters over the survey line in order to improve the irrigation at Heap Leach Copper Mine and increase the production of concentrated copper. The second measurement was made 50 days later to confirm the drilling results—which showed how the resistivity values decreased in the impervious zones. The different resistivity sections showed decreasing percentages of resistivity in the impervious zones as a result of the irrigation. Improved irrigation increased the production of copper.